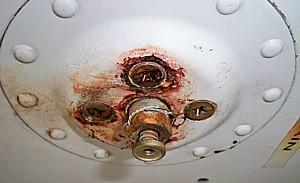 mechanicsupport.com: What's wrong with Aircraft Drain Valves? What's wrong with Aircraft Drain Valves? Fuel drain valves are often a necessary evil as they allow checking and purging fuel tanks of water and sediment. But oil quick drains are not necessary and one should be aware of both the advantages and disadvantages. Replacing a drain plug with a valve doesn't come without a price. Drain valves require maintenance and a handy supply of spare seals as you never know when they are going to leak. Oil drain valves can stick as sedement and sludge get trapped between the moving parts. 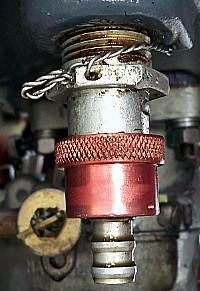 Valves have to be removed, inspected and cleaned periodically. They are not maintenance free! Do you really need an oil quick drain?